Choosing a perfect wedding color palette should be every bride’s initial goal when planning the wedding attire, flowers, and any other decor. 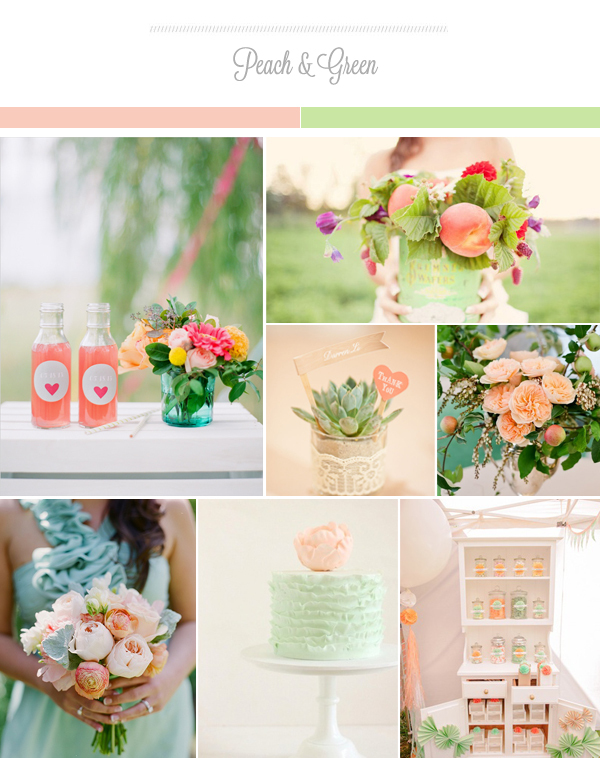 Today we’ve prepared 2 lovely color palettes for your summer wedding. Peaches and Pinks aren’t going out of style anytime soon. Mix peach with green to create the romantic “summery” atmosphere. Adding shades of pink would create even more depth to this palette. Nothing says summer more than pops of yellow! 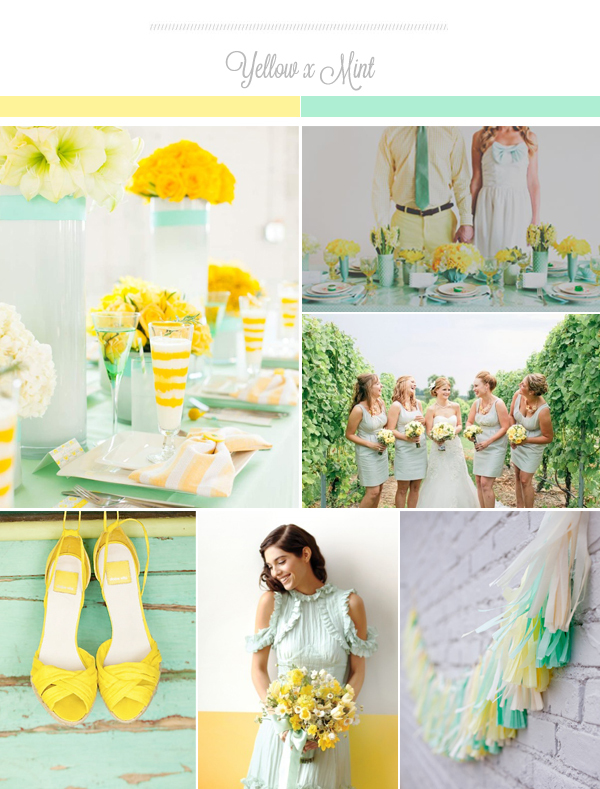 Yellow and mint together create a fresh, joyful, and passionate atmosphere. Don’t be afraid to go bright, especially if it works well with the season and your personality.